The rugged Crags are granite bodies, or plutons, from the Jurassic time. Like Yosemite's Half Dome, Castle Dome cooled underground. We headed about 90 miles into California from Oregon for a training hike last weekend. 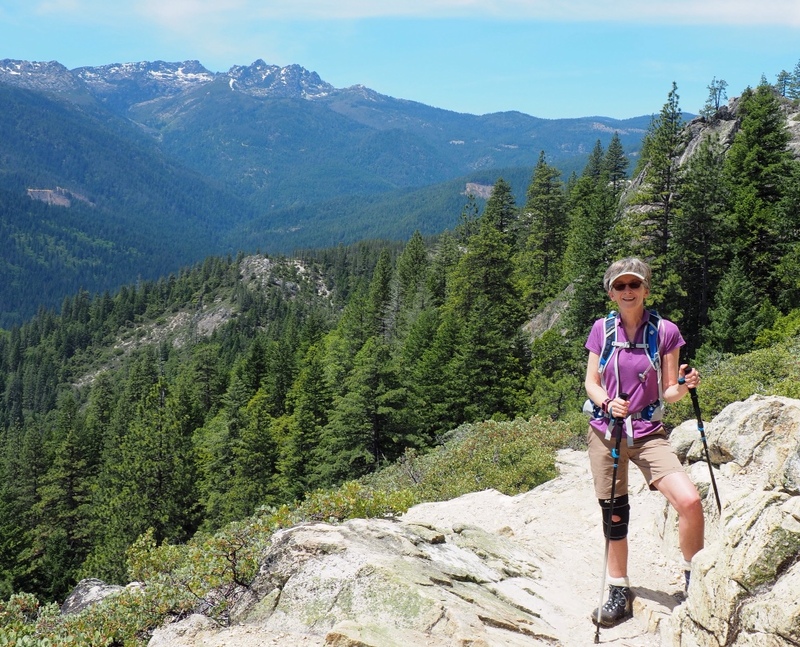 As the challenge of an Alps trek next month nears, Castle Crags State Park gave us a chance to test our lungs and legs in the Shasta National Forest. The seven-mile walk took us up about 2,500 feet to reach the granite formations more than 170 million years old. A collision of an oceanic plate with North America created the Crags. 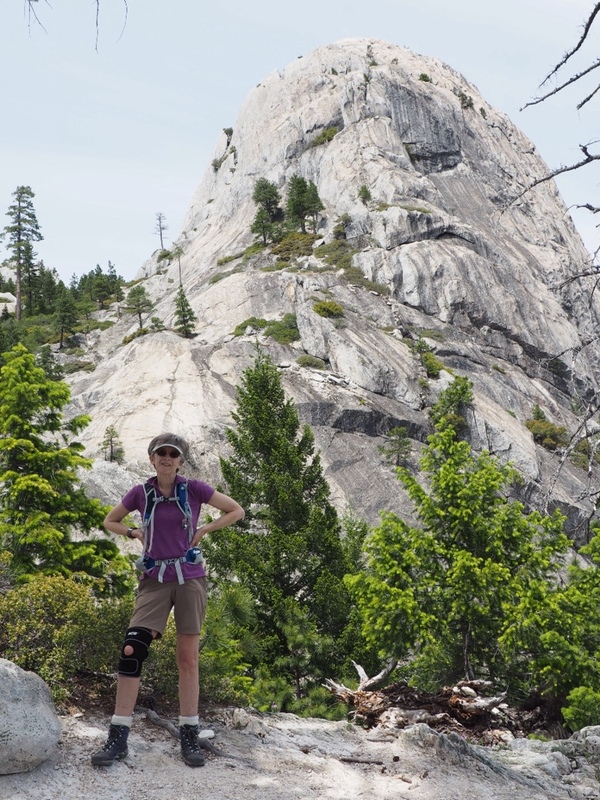 The Crags Trail is all uphill and steep scrambling over rocks made the last mile quite difficult. A food and beer fueling stop on the way home capped a tough, but rewarding day. 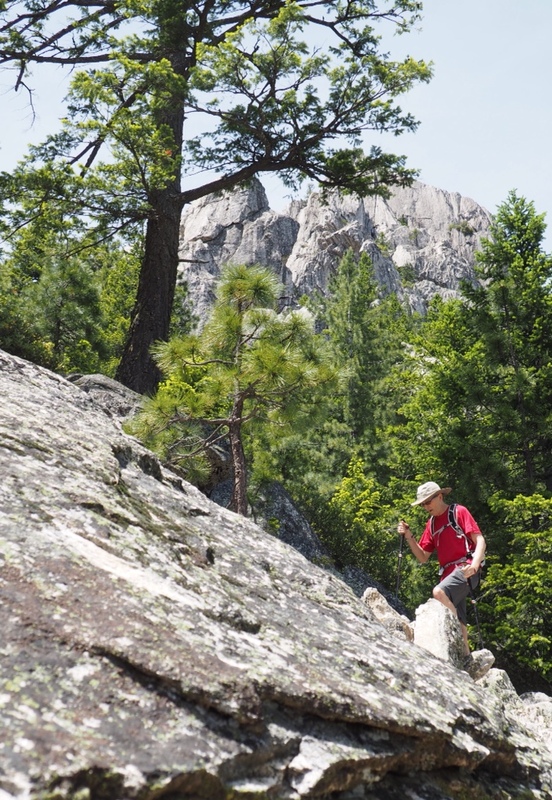 Crags Trail gets rockier and steeper when it emerges from the forest. 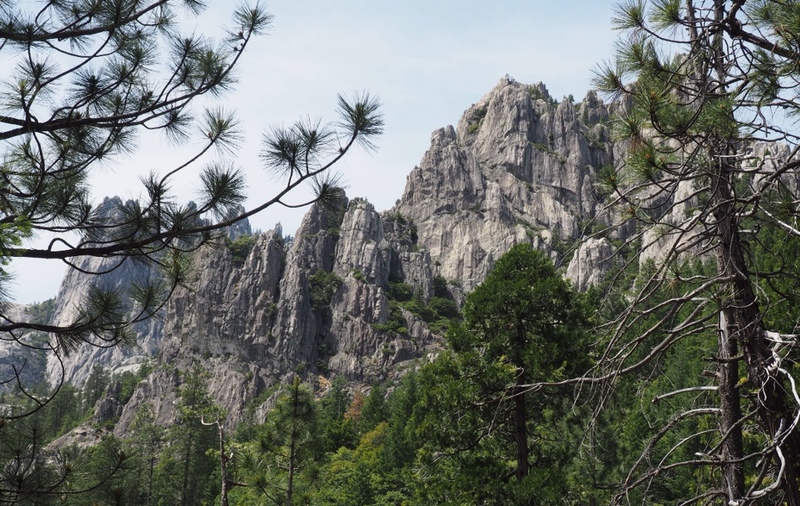 There are about 28 miles of trails in the Castle Crags Wilderness. The Pacific Crest Trail is part of the trail system. 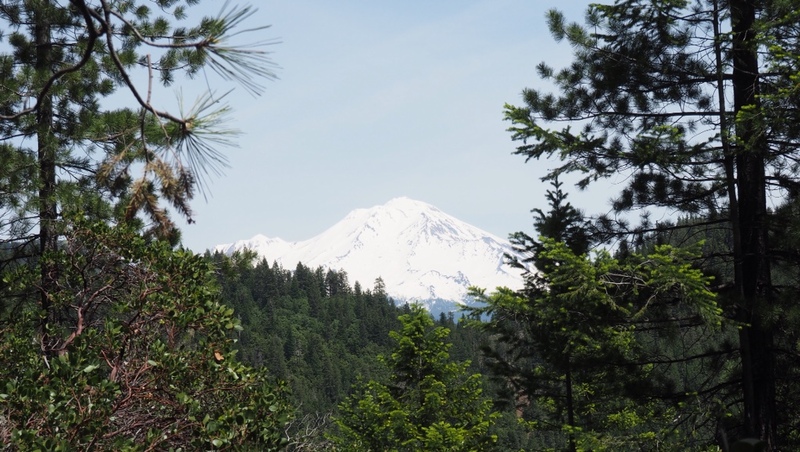 The trail offers hikers several views of 14,000-feet-plus Mount Shasta. 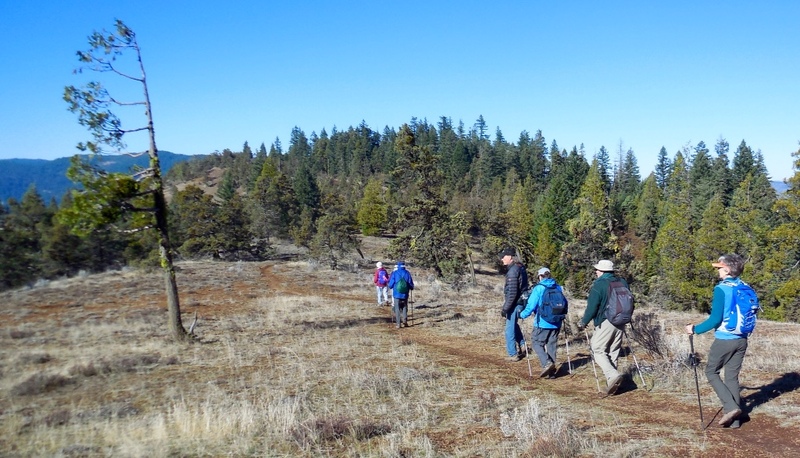 A crisp, clear day welcomed our group to a trek along the Pacific Crest Trail southeast of Ashland. 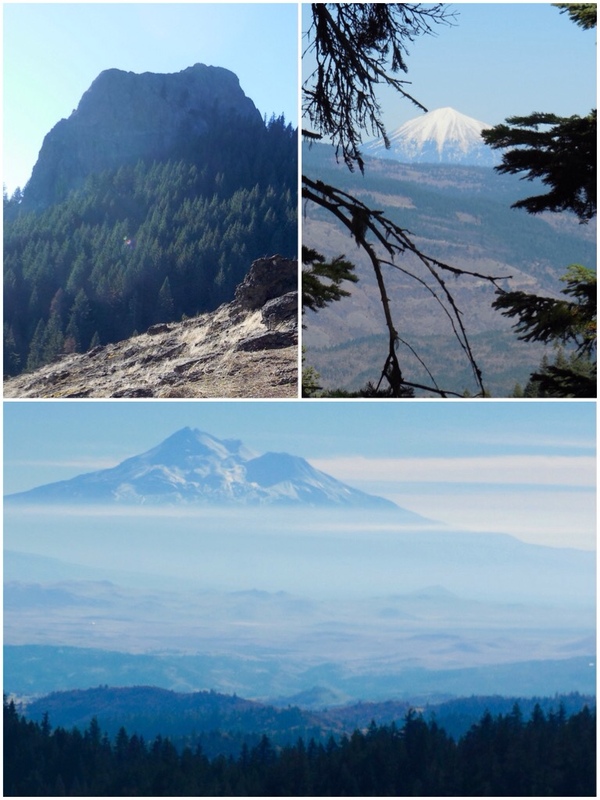 The Pacific Crest Trail, within just three miles, presents views of Pilot Rock, top left, Mount McLoughlin, and Mount Shasta, bottom. We were tempted to just keep going, but none of us had brought our sleeping bags! 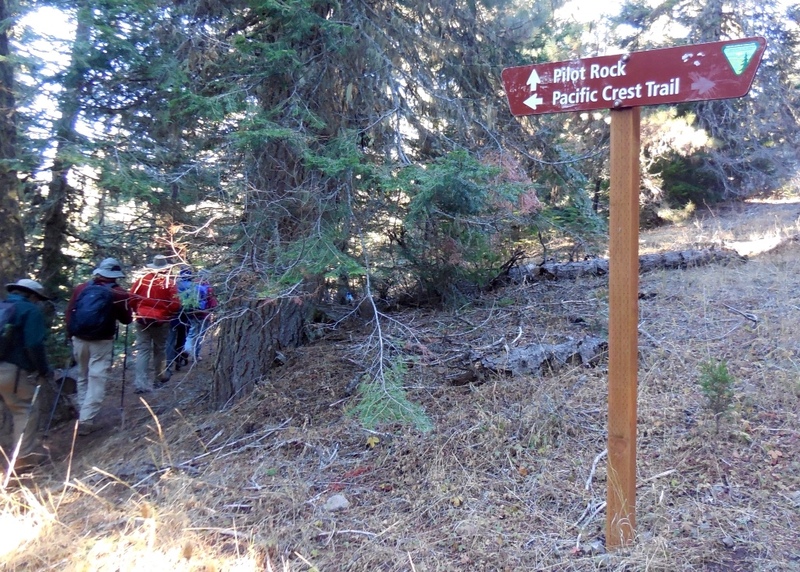 On our way down Mount Ashland, we crossed the Pacific Crest Trail. Our home, Stone's Throw Bungalow, is a short walk to town. On our last day of a two-week stay in Ashland, Oregon, we drove to a pair of nearby attractions. 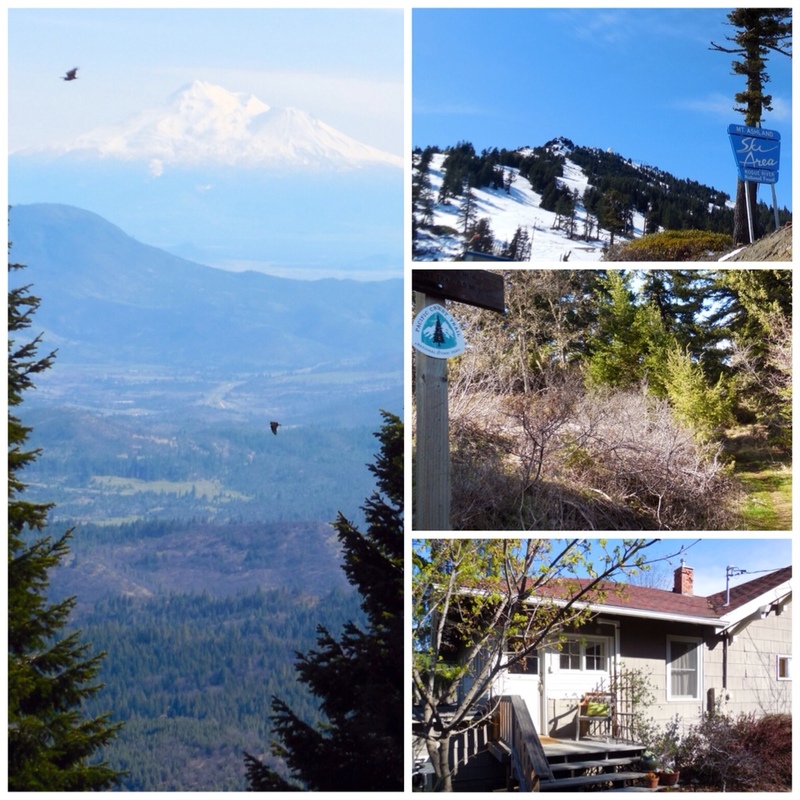 Mount Ashland is a ski resort just 22 miles from town. It did not open this year due to a long drought affecting southern Oregon and California. On our way down the mountain, we got a spectacular view of 14,179-foot Mount Shasta in California. A friendly, but slow-moving moose helped us make Harry and David's famous Moose Munch, popcorn coated in butter and candy in vats. 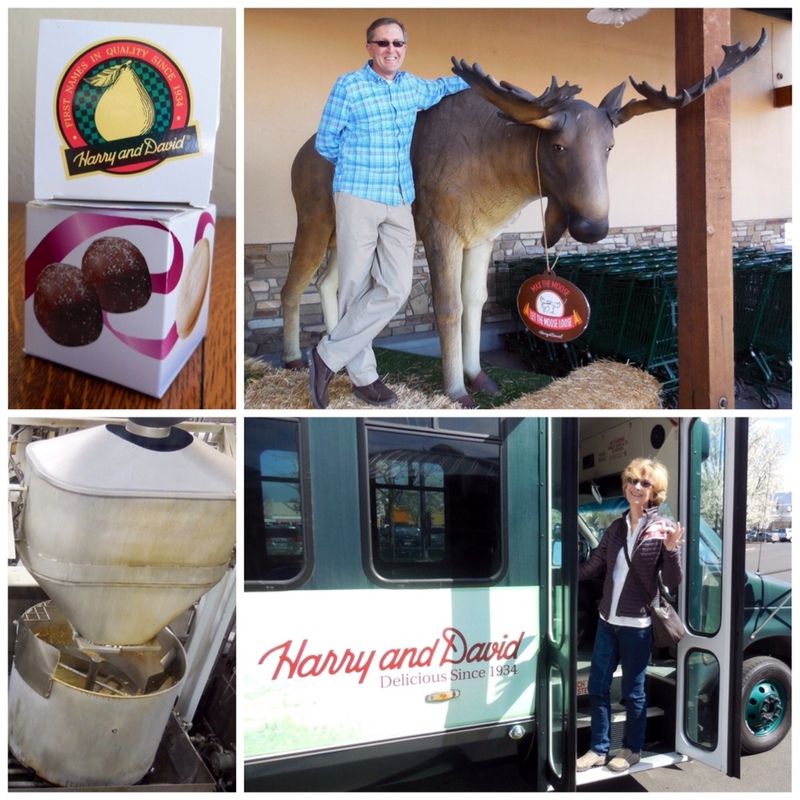 We heard there was free food on the tour of the nearby Harry and David headquarters, so off we went. Famed for its Fruit-of-the-Month Club and Tower of Treats, Harry and David employs 2,000 year round and 6,000 seasonal workers. We may be tempted to try a job packing gift baskets someday. Guess what our kids are getting for Christmas!